“The power of giving back is what drove me to MOAM. Giving back is one of the best experiences in life. It gives a person the opportunity to share blessings with others and watch how a little kindness and faith can go a long way. Throughout this trip, my goal was to get closer to God and strengthen our relationship. 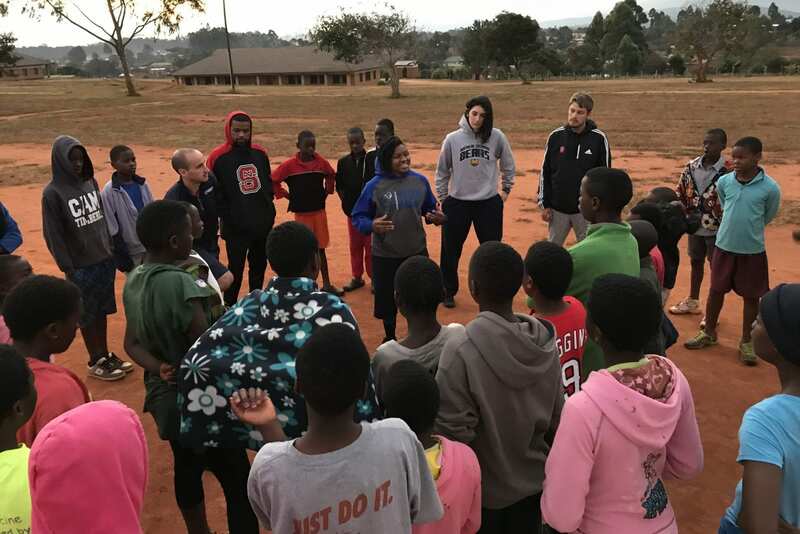 I could write a book on how Jesus has impacted my time in Malawi … If I could categorize the ways in which Jesus has impacted me, I would sort it into three key categories: my faith, my heart, and my perspective. “Being in Malawi brought forth a happiness and sense of purpose that I hadn’t had since the passing of my father. The work I was doing on a daily basis had value and the kids showed their appreciation towards me, which is something I was not used to. Throughout my time, I saw a common theme in my conversations with them, which was about betrayal. They felt betrayed by their friends and family from time to time, and this betrayal would get to them, eat at them. Some of them struggled with the concept of true forgiveness … While I was giving advice, I realized when it came to certain people in my life, I was the same. I would let them upset me, ruin my day and just take me off my game. We looked to the Bible for an answer and stumbled upon Proverbs 4:23. “My perspective on life has drastically shifted … I became much more grateful for the little things here in America and just detaching more. Jesus has impacted my life through my ability to disconnect from everything and live my life at the moment [and] enjoy the presence of who I am with. I am much more aware of everything going on.